The title is a take on the best-selling Lance Armstrong book It's Not About the Bike which, given what we know now, is the most accurate title for any book, ever. Penn's title is no less accurate. His book – and Ride of My Life (there's a film clip below), the BBC4 documentary he made off the back of it – is dedicated 100% to the bike. 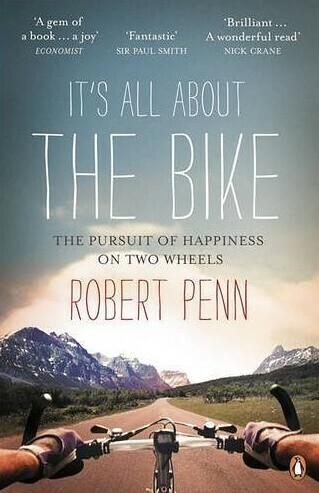 But not just any old bike: it's all about the author's quest for his Perfect Bike. A disclaimer too that I (kind of) know Friedel, who was one of our first Freewheeling interviewees; she also offered some valuable advice and encouragement regarding running a travel/cycling website.